I spend my summers in Burundi. I am married to a Burundian social entrepreneur and in me he’s found his chief storyteller. Together we are community development practitioners in multiple communities as well as parents to our two children. Our lives stretch between Burundi and America; our conversations wide with words about agriculture, education, banking and health. It’s a rich life woven with many textured threads. Part of our annual rhythm includes the high season, that time when visitors come from the west to witness the work on the ground. Our home fills up with a wide array of friends, we lead caravans up country and back to the city before dark. We tell lots of stories – and spend lots of time schlepping luggage to and from the small airport. Another term for this summer activity – short-term mission teams. While I’m not a fan of short-term anything when it comes to development work, we’ve discovered a way to weave short trips into long-term relationships. (This is worthy of another post, really.) We view these trips of days and teams of friends as expressions of a growing friendship between two communities. Each trip becomes a brick in the building of sustained relationship between a Burundian and an American community and over years we’ve constructed deep connections. We’ve witnessed transformation on both sides of the ocean due to these deep bonds. So we participate in the short-term trips as part of a long-term commitment to development in all communities involved. We are now thick in preparations for our summer team. This is part of our yearly calendar – as it is for many expats, NGO workers and missionaries who live abroad and welcome summer teams. I thought it might be helpful to share things Claude and I have learned over ten years of hosting teams. This will be the first in a series of three posts; I’ll begin with the nuts and bolts of hosting – logistics. Now sometimes the electricity goes. Sometimes soldiers decide to do morning drills in front of your hotel, blocking the entrance and forcing you to stay put. Sometimes hot water runs cold – or not at all. This is part of the reality of life in Burundi. And it’s good for our friends to experience this too, to see the precarious nature of life in a small country where the infrastructure is waning or antiquated. 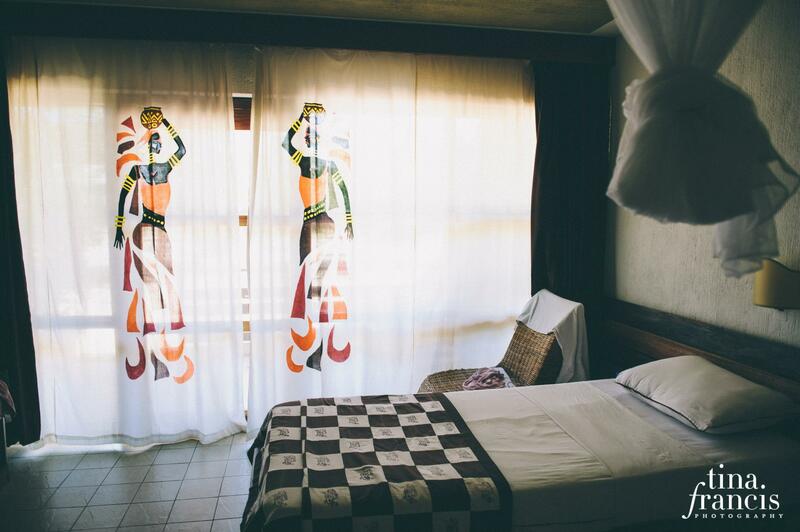 This opens the door for conversation about daily challenges most Burundians face. 2. Food. Good food is important for a number of reasons. First, we want our visiting friends to be healthy and full of energy while they are in country. So we work hard to offer meals that the team can trust – it’s cleaned properly, cooked well and there is enough to satiate a reasonable appetite. I remember before my first trip to Burundi Claude visited each local restaurant to test the food, he even ate at the homes of people who would host me for a meal to, again, ensure they could prepare food I could eat without fear. He went to great lengths to ensure food safety, and it meant I could eat without reservation anywhere he took me. We try to extend the same piece of mind to our team members – anywhere we take you has been vetted by us, you can eat without concern. Second, we try to offer food that is familiar periodically throughout the trip. Some people are not adventurous eaters, and a steady diet of local cuisine can keep them from getting the nutrition they need to sustain their bodies. So we anticipate when the team might be due for comfort foods like pizza, pasta or pastries. When they are spending days out of their comfort zone, a simple meal that they recognize can calm the nerves and allow them to muster up energy for another day of adventures ahead. Pro-tip: if your team members seem overwhelmed or anxious, get them some comfort food ASAP! Third, food is another way to share the local culture with your team members. So once you’ve vetted the source of the food, allow people to enjoy the taste of your city. In Burundi that means we offer lots of sweet pineapples, papaya, avocados and, when in season, mangos. 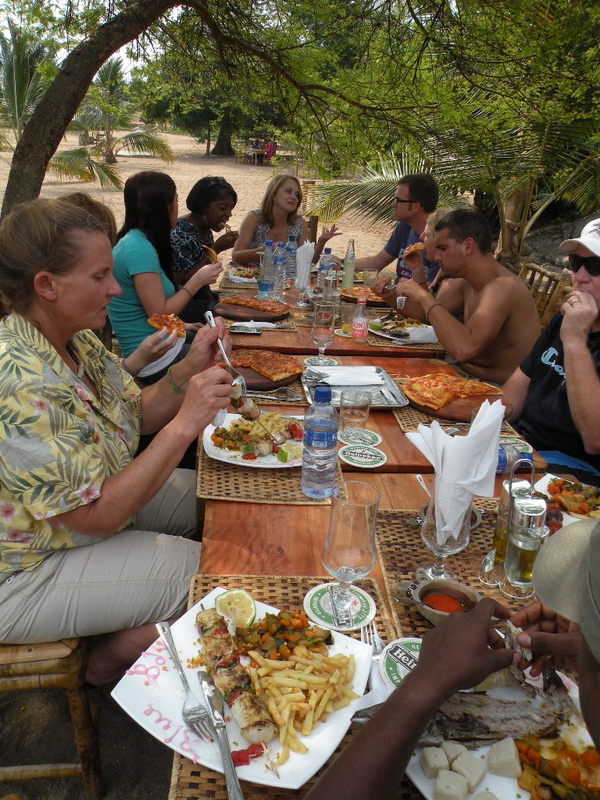 We offer local fish from Lake Tanganyika, bugari (made with cassava flour), samosas and fresh roasted goat. We always invite our friends to share in a classique meal – the traditional Burundian family meal with rice, beans, stewed meat and sweet plantains. And you cannot come to Burundi and not enjoy the coffee and tea, grown locally, pungent and never decaffeinated. Let people taste and see – another sense to explore the goodness of a place! And last but not least, ensure that there is a steady supply of clean water for the team. I remember in the early days Claude and I were shocked at the sheer volume of water our teams members consumed in a given day – it is one of the most costly line items in our trip budget. But we don’t want people to be dehydrated. We don’t want them to get sick drinking local water with unfamiliar elements in it. So investing in clean water is a must. We use bottled water when we travel up country, keeping a cooler in the back of the lead vehicle. (We do recycle all bottles and are careful to not litter the roads.) We have a water cooler in our home so when people come over for team meals or meetings, there is ample water available. We make sure there is water available at the hotel and in the rooms. So another pro-tip: double your water budget. 3. Scheduling. When it comes to scheduling, I used to think what mattered was pacing. I’d try to make the first day light since people are recovering from jet lag and adjusting to new foods and such. But Claude noticed early on that people come with energy and excitement, and there’s a natural adrenaline that seems to kick in, overriding any jet lag. So now we do allow for a generous first night’s sleep and a slow morning, but the rest of day one is full of good things. What has become more important for us in scheduling is story. Let me explain. When people come to Burundi on a team, they are joining a story already in progress. We want to introduce them to the local narrative by providing the context they need up front so that they begin to see the themes emerge with each additional day. 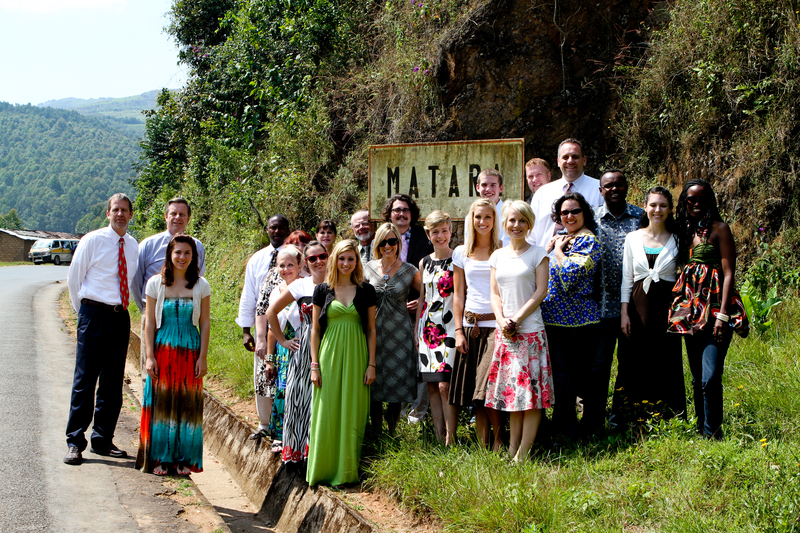 So we would take the team to the first community we made contact with years ago early in the trip so they could see what we first saw and understand the genesis of our connection to the Batwa people. Only then did we take them to our community development project, where they could meet the families we partner with and see their progress against the back drop of where it all began. That simple chronological choice in planning made the story visible to our team. They could see with their own eyes the difference in the two places and begin to understand the arc of development and why it mattered. A quick side note about scheduling – allow time for rest. Too many trips move people from place to place, providing tons of stories and information, but offering no time for rest and reflection. When we offer a pause, we allow our brains time to “catch up” with what our bodies just experienced; we offer the heart time to feel the full force of the stories told. Time allows us to secure these new friends in our memory, to savor the sound of their voice and the truths they offered us without rushing and risking amnesia. There is another thing Claude and I consider when it comes to schedules and storytelling, and that is avoiding “the danger of a single story” as Chimamanda Adiche says. If we only take people up country to spend time with our Batwa friends, then the only story they will know of Burundi is rural, impoverished, marginalized, without formal education (though all these things are changing!). But the truth of Burundi includes people who live in the city, people who work at banks and NGOs, artists, entrepreneurs and web designers and political leaders and educators. There are Hutus and Tutsis, people with wealth and some with a measure of power. So we work hard to share a full-bodied story. So part of our planning includes time up country with our rural friends and time in the city, we spend time with women leading business enterprises, small and large scale, as well as men who pastor and run local businesses and are professional photographers. We try to include time with local government officials – ministers in the senate or educational administrators or the minister of finance. We invite our local friends, most who speak English, to join our parties with our team members so that as they mingle, the team gets to know a variety of Burundians who comprise the texture of the city. My hope is that when someone says “What are Burundians like?” our team will have many ways to describe the people of Burundi – not only as poor, rural and needing help. Maybe they will say that some are witty, smart, working hard to improve their country as we do in our own nation. The variety of people our team interacts with is a key part of our scheduling. 4. Language. When you host people in Burundi, a Francophone country where Kirundi is the mother tongue and Swahili the marketplace vernacular, you have to consider language. We consider, at every level, where translation is required in order for our team to fully understand what is going on around them. We want them to be able to enter into the experiences as fully as possible. So sometimes we hire translators (I could tell you stories about the pitfalls of translators who try to translate for their own ends, not your teams best interest…). We try to keep this to a minimum, but sometimes it is necessary. We invite many of our multilingual friends to join us, people we trust and have relationship with, so they can help with impromptu translation as needed. Allowing our own friends to help with translation has been a great way to offer translation but also create space for friendships between locals and team members to arise naturally. Just make sure you trust your translators – if we need to hire them, check their references. We try to plan as many activities as possible that do not require any translation at all. Dancing to the Burundian drum corps, coloring with the kids, playing sports together, planting cabbage, making pots and blowing bubbles… all fun things we do smiling, laughing but without a translator. Something happens when we can connect without words – something quite beautiful. 5. Activities. When we host short-term mission trips we often include activities or work projects. At worst, we have westerners come and do shoddy work or rob locals of employment with our free labor force. But at best, we can allow workdays to be amazing times of connection. 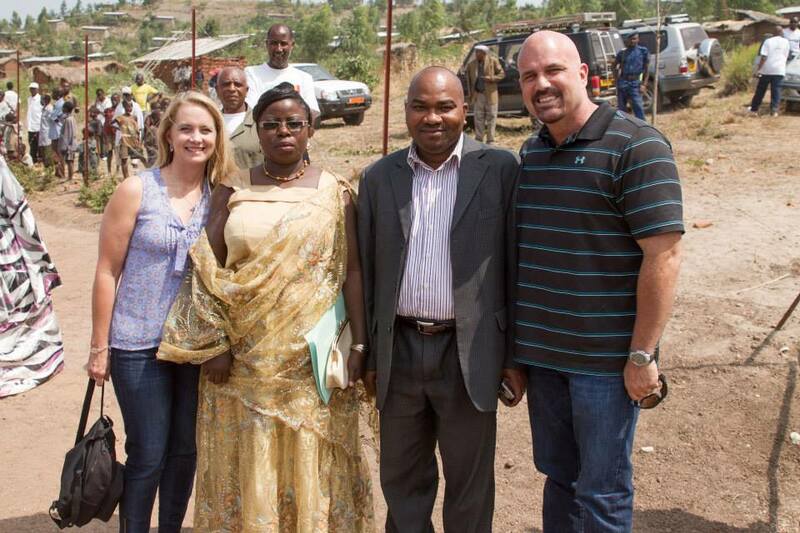 Claude and I love to offer opportunities for our team members to learn from our Burundian friends. So a typical activity would be planting cabbage, allowing the Batwa women to teach the Americans how to plant and do it alongside them, sometimes even offering correction along the way. There is laughter and sweat all mingled together under the summer sun, and our friends usually walk up the hill with a new sense of appreciation for the skill and stamina of the Batwa women, they know who the experts are and respect them as such. 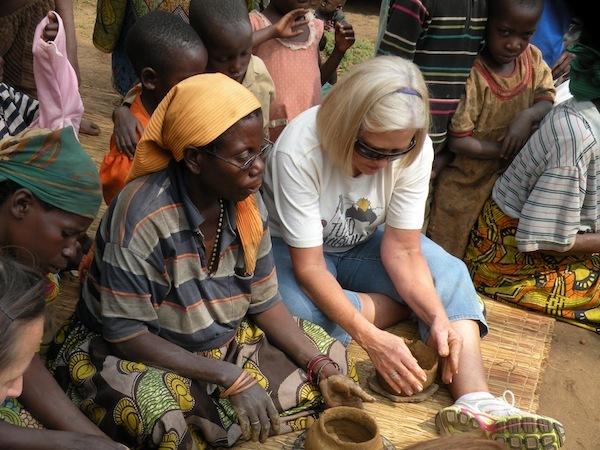 We’ve had our team learn how to make bricks, mold pots from clay, build homes and plant trees – all in partnership with the Batwa friends and under their leadership and close supervision. It matters to Claude and I that our Batwa families are honored, that they get to teach and lead us and know respect on their own land. What is clear on the work days is that we come to learn and serve, not to save or improve or show them how to manage their own community. Together we work, laugh and become friends. I’ve already bent your ear for much longer than intended and I haven’t even mentioned bearing witness, gift-giving, sight-seeing and shopping day! But I think you get the idea – every element of planning a trip requires intention. If we want to make these trips count for the team members, for the host organization / church and the local friends, then we have to be thoughtful with each choice. 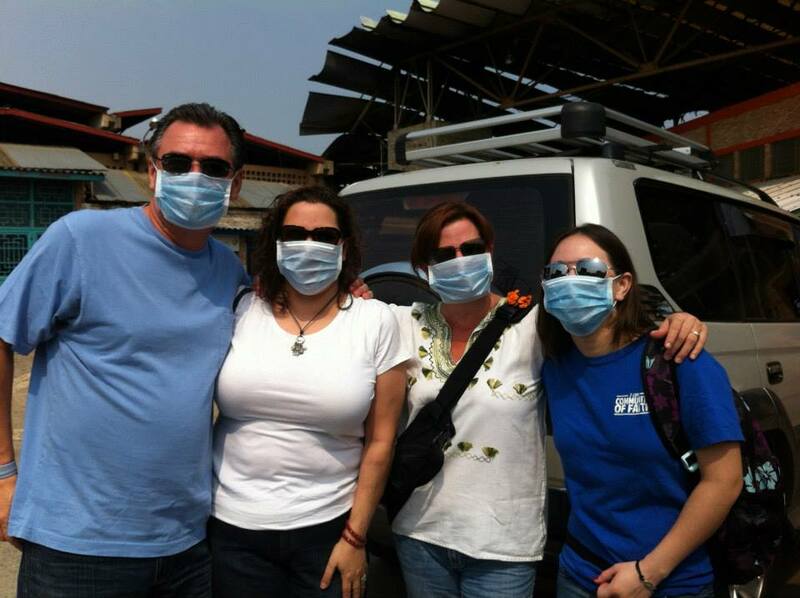 I’d love to hear from fellow practitioners – how do you plan the logistics of your short-term mission trips? What are pro-tips you’ve learned along the way? Where are you still trying to hone your planning / hosting skills? This is making me remember how many times our Batwa friends smashed my pot before I got it “kind of” right! One of my favorite of many, many favorite moments in Burundi. You are Claude are masters that many can learn from….so great to have this written down. Can’t wait for the rest! Awwww my sweet Godess ! Yes she smashed my pot , my memories are so sweet of this most magical place . I will NEVER forget my time there in Burundi . You and Claude are masters at hosting ! I love you both and love my sweet friends in Burundi . I have a statuette that I bought because , it looks just like Godess. Sweet memories !!! Kelley, this is brilliant. What a generous approach and empowering place and space for engagement you have developed. Community building, respectful, kingdom work. Lovely. Thanks so much for these insights, Kelley. I’ve been living in East Asia for close to three years now, and am just starting to learn the new skill of hosting Westerners who want to visit. I love your thoughts about how to engage in activities together (coming as a student and not as a teacher is something that especially resonates with me), as well as touring sites chronologically. One thing I’d be interested in learning is who makes arrangements for airfare, visa, etc? Do you have someone Stateside who does this, or do the participants arrange this themselves? Any other advice about how to handle the finances for the short-term participants? I look forward to reading the rest of your posts about how to host effectively! Thank you again! Melanie, so glad some of these thoughts were helpful. We work with churches/organizations stateside who take the lead on arranging flights, working with team members on costs/fees and pre-trip orientations. We assist with visas in Burundi, as they are available at the airport (team is instructed on cost for visas in advance). When teams have traveled to other events in Africa with us, we encourage them to get a visa stateside – we don’t handle visas on behalf of anyone, just assistance with information. Regarding finances, we work out a budget in partnership with church/organization we are working with – we share costs in-country in advance (fixed and flexible – since petrol costs can radically change transportation estimates), and offer a range of accommodation options so the stateside leaders can decide what suits their budget. Then they work on communicating total cost with their team members and collecting funds – we do not ever take funds directly from team members, only from the org representative. Hope some of this helps… it makes a difference if you are working with good stateside partners.